How can I recover photos that were accidentally deleted or went missing in my SanDisk memory card? What if the camera displays an error and lost all my pictures? Can I recover my photos and videos when my SanDisk memory card crashes, stops working or is damaged? As a user of SanDisk memory card, you may encounter the issues mentioned above. When this happens, just do not get frustrated. No matter what problems you face, there is a possibility that you can recover photos from SanDisk memory cards, as long as there is no physical damage to the card, i.e., the card can be detected by the computer, but does not work. When photos are lost from your SanDisk memory card, they are not really gone, but turn to be invisible. What you need to do is put it away and stop using it to save new files or capture new images. New files can overwrite lost files and make them not recoverable. 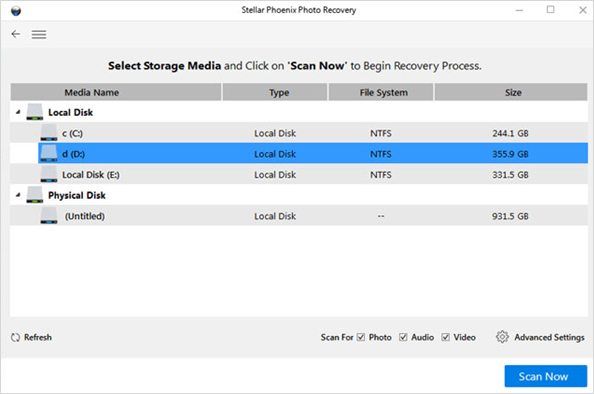 Below is a recovery tool for a reliable recovery of pictures from a SanDisk memory card as soon as possible. How to recover photos from SanDisk memory card? Finding a reliable SanDisk memory card photo recovery tool that ensures a better chance to retrieve images from the SanDisk memory card. You must do exactly what is said from a professional website. If you do not have one yet, here is my humble recommendation: Photo Recovery, or Photo Recovery for Mac. Both recovery software for SanDisk memory cards are 100% reliable and professional. 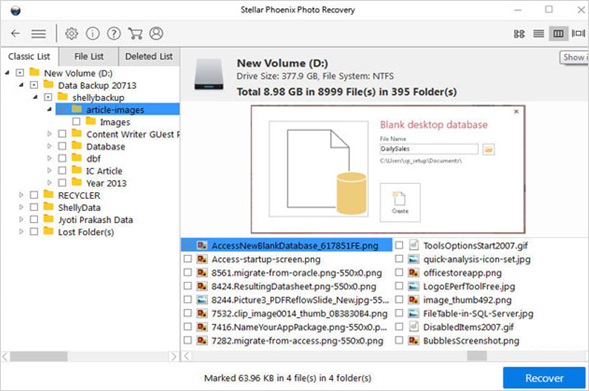 You can recover lost photos, video and audio files no matter if deleted, formatted or lost due to unknown reasons. Completing the whole task only requires three steps. Step 1: Download, install and start this SanDisk memory card photo recovery tool. Select the media drive and click on the “Scan Now” button.